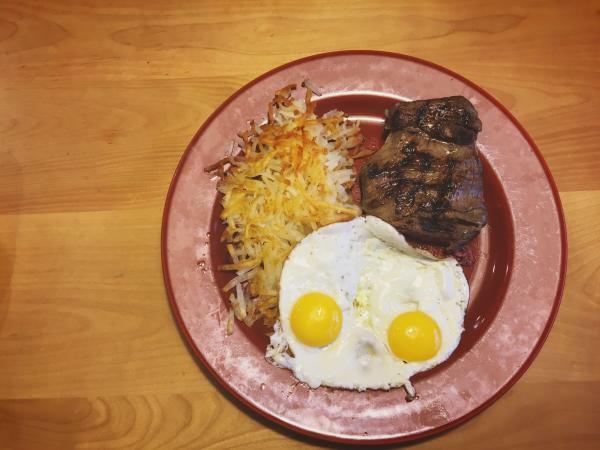 If you’re yearning for a breakfast spot that reminds you of family meals with mom and pop, then Altoona Family Restaurant is a solid choice! The waitstaff at Altoona treats you as if you’re an old friend, and their brunch is pure comfort food. They have everything you could possibly be craving—salads, burgers, soup, breakfast foods galore and more! 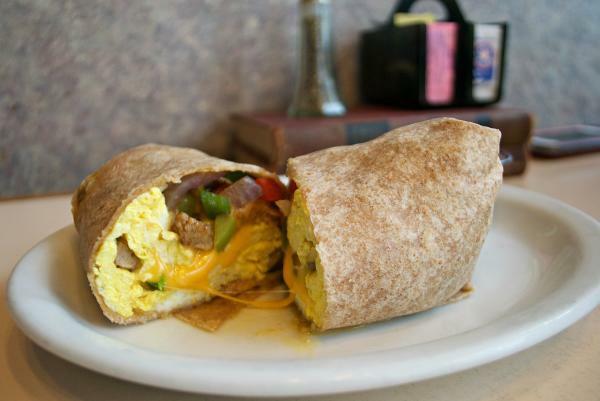 Altoona Family Restaurant is located at 2000 N Hillcrest Parkway (in Altoona, of course), and they’re open on every day from 6 a.m.- 9 p.m.
An obvious choice, the Nucleus Café has food that is to die for! Located at 405 Water Street, they open at 8 a.m. and serve until 2 p.m., and my friends and I are guilty of going here week after week. From the savory but seldom-captured lemon ricotta hotcakes (i.e. the best thing on the menu and the item that sells out within the first hour and a half of the Nucleus being open) to the phenomenal waitstaff, everything is perfect about this place. Possibly the coziest spot to grab brunch in Eau Claire, Grand Avenue Café is a cute little café that serves a variety of sammies, homemade soup and quiche. YES. YOU HEARD ME. QUICHE. They also have outdoor seating. It’s in a smaller building, making this the perfect location for those looking to have a more intimate brunch. With that said, though, we highly recommend making a reservation or getting there early to secure yourself a spot at this GRAND (pun intended; I have no shame) location! Formerly known as Pizza Plus, most people are surprised to learn that The Plus serves brunch. AU, CONTRAIRE! The Plus has one of the best brunches in the Chippewa Valley. Brunch at The Plus runs from 11 a.m. to 2 p.m., and it includes all kinds of breakfast foods (bacon, pancakes, egg bake, etc. ), cookies, a variety of pizzas, a salad bar and a build-your-own omelet station. The highlights of the Plus brunch, though? 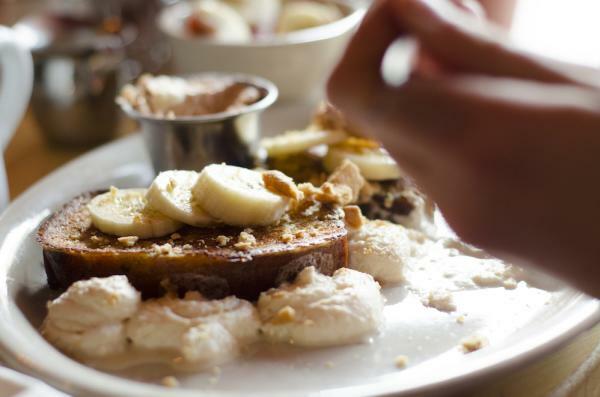 (1) Noel makes homemade French toast right in front of you, and (2) $5 bottomless mimosas. If you’d prefer to go somewhere that is more upscale, The Informalist is your best bet! This restaurant is part of the new Lismore Hotel in downtown Eau Claire. The main chefs at the restaurant—Luke Bilda, Amy Huo and Brandon Montney—pride themselves on using local and organic food to make the meals served at this fine establishment. 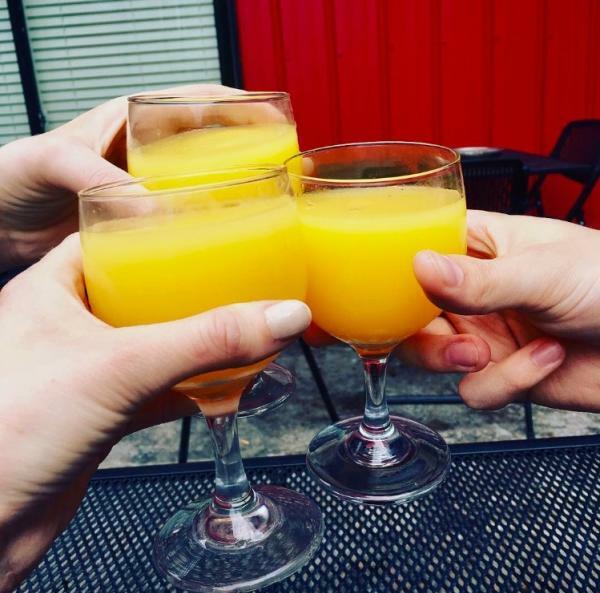 The brunch menu includes a variety of delicious items such as fresh fruit, biscuits and sage-sausage gravy, a wide variety of omelets and grapefruit mimosas. Yum. Yes, you read that right. You can get brunch at The Lakely every weekend! If you&apos;re looking for some live music, delicious brunch food and more than a dozen original brunch drinks, The Lakely is going to be your own personal heaven. 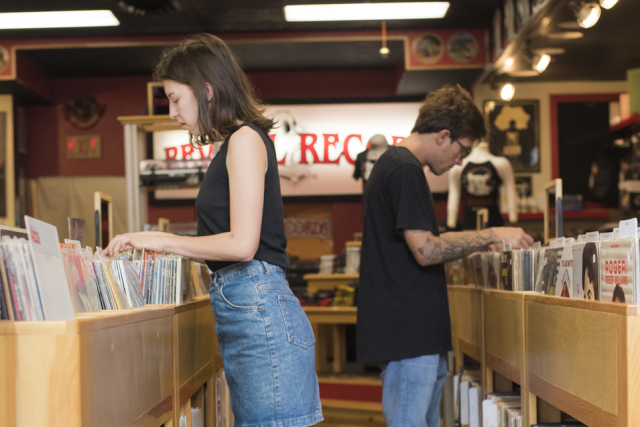 If you&apos;re an early bird, you can get there as early as 7 a.m., but the live music doesn&apos;t start until 10 a.m. and goes until brunch is over at 1 p.m. 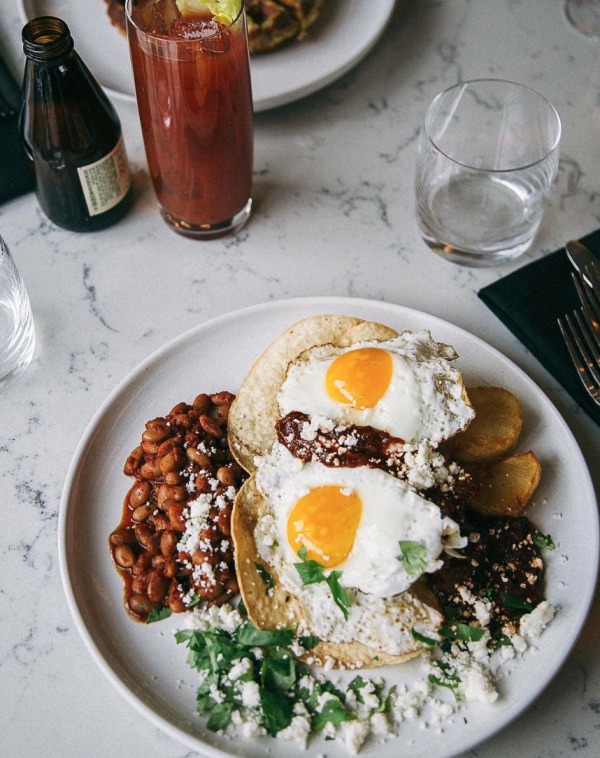 This farm-to-table establishment does brunch right, that&apos;s for sure. Another family-style restaurant, Chick-A-Dee’s is the type of place that you walk into and instantly feel happy. While this is partially thanks to their all-day breakfast, amazing omelets and some of the best hash browns in town, it’s also because of the warm diner atmosphere of the restaurant. Located at 1928 3rd St., Chick-A-Dee’s is open Sundays from 7 a.m. -2 p.m. If you want on-point service where your coffee mug is never empty, then this is where you want to be this Sunday. And of course, if you’re not a breakfast person, here are a few of our favorite picks for a delicious Bloody Mary. 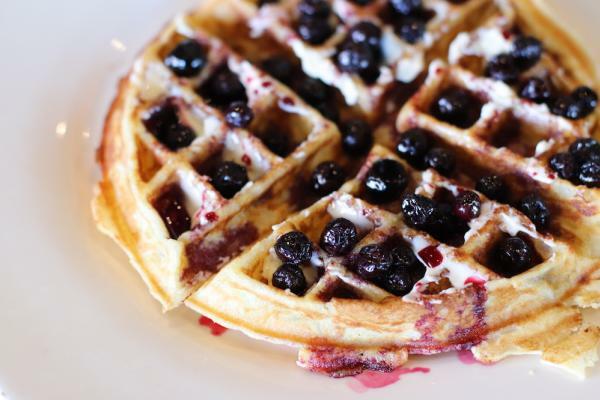 Where’s your favorite place to get Sunday brunch? Share it with us using #CaptureEC. Cover photo by @kateybentley on Instagram.